Firstly before we get in to this post note that investing in Cryptocurrencies and Initial Coin Offerings (ICO’s) are highly speculative and the market is very much unregulated. Always seek advice from a qualified professional or best do your own research before making financial decisions in crypto space. There are many who made a fortune in cryptocurrency and on the other hand there are also people who’ve gone broke. One of the key factor which every professionals advice is; do not go all in or else you might end up losing everything. With that said this post is not about how to find the next big cryptocurrency like Bitcoin or Ethereum. Also it is strictly not an investment advice or some kind of trading secret. But a simple strategy which many investors and miners do on regular basis that is finding newly launched Altcoins, Cryptocurrencies, tokens and ICO’s. Here we’ll share some of the common resources where you can find new Altcoins / Cryptocurrencies and Tokens. Before we see how to find them let’s see the significance of finding these new projects and coins. 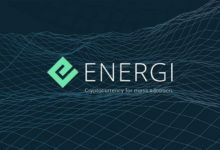 Why to find latest coins and blockchain projects? 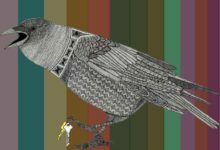 Whether you are a Miner or a Investor; “The early bird gets the worm”. Have you not said this to yourself; “I wish I bought Bitcoin years ago”. 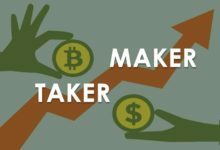 After the boom of cryptocurrency in 2017 many users got aware of this technology and started investing in it blindly without doing much research. People who got in early have attained great profits while the majority of crowd who invested during late 2017 are at huge loss. In crypto getting in early is the key. There is a lot of smart money as well as a lot of dumb money and its ecosystem is a rapidly evolving space. Every day several new projects are born and several of them die and newer coins are often experimental. If you stay plugged in you would come to know which projects are significant and what’s irrelevant. With thousands of Altcoins and blockchain projects popping every single day be the early one to discover the next big thing in the market. So where and how to find new Altcoins or Cryptocurrencies either to mine or invest in it directly. Here we don’t give you a criteria in choosing a coin that will make it to the top of the market or achieve impressive returns. Instead we’ll share some of the sources that helps you to get in to the game early. In order to stay up to date with this technology the first and foremost place where you need to spend time is Bitcoin Talk forums. This forum is been operating since the origin of Bitcoin (2009). This is one of the most active community for anything related to Bitcoin, Altcoins, Tokens, ICOs and Blockchain technology. There is a lot of sub threads and categories discussing about development, mining, trading, investment and cryptocurrency marketplace. 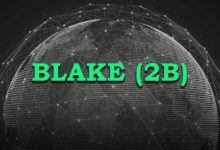 Among this list there is one sub forum that is dedicated for the announcement of alternate Cryptocurrencies, tokens and ICOs. In order to publicize majority of new coins and tokens post their project here first. So keep an eye on this forum to find out new crypto currency projects. Here you’ll not only find information about new projects but the community share their insights on it and guide you through the right track. There is a sub forum for Altcoins in general and another sub forum dedicated for Tokens. Use the following links to go to the forum. 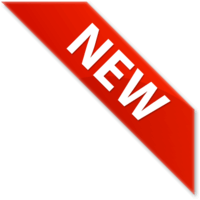 The below links have sorted announcement thread by topic post date. So you only see brand new coins and tokens which not many people have discovered yet. 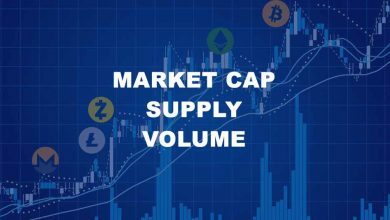 The next top resource which you must be keep looking is coin market cap. 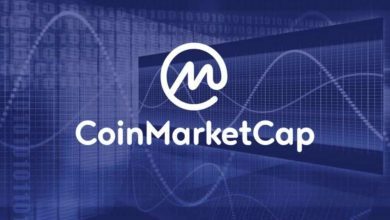 CoinMarketCap is a resource website and a tool that provides information on cryptocurrency price, charts, volume and many others. 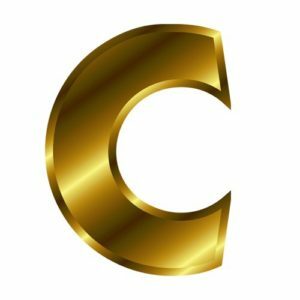 Here you’ll find top coins to low cap alt coins to the freshly added ones. The top coins are most popular and the low cap alt coins might too gained enough exposure. However the newly added coins are yet to be discovered by many. 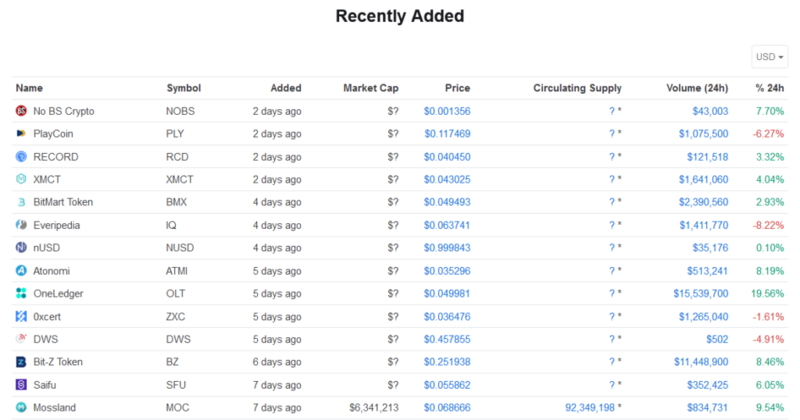 In CoinMarketCap there is a trending category called “Recently Added” where you can find such coins. The coins that show up in this list are recently added projects to coin market cap database. There is a certain criteria for a coin / token to listed here. 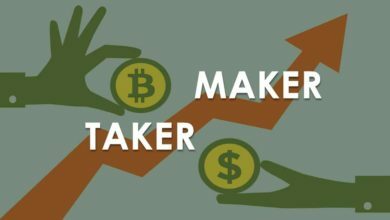 Each and every projects are manually approved by the CoinMarketCap team. So you won’t find brand new coins here but still they are not so popular. 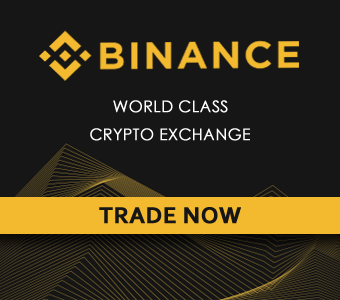 Also the best part is all coins / tokens listed here comes with market valuation as all these are listed on one or more exchanges. Note: Being listed on several exchanges doesn’t mean the project is legit so completely analyze the crypto before you get in. 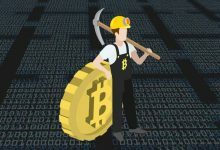 If you are a miner then finding a new coin and mining those early blocks could be quite rewarding. The network hashrate of newer coins will be very low; hence mining them is pretty easy. If you have a slightly powerful hardware you can even try mining solo. So your next stop to discover new Altcoins should be mining calculators and mining pools. Mining calculators are just a tool for you to find out the most profitable coin to mine at current day. 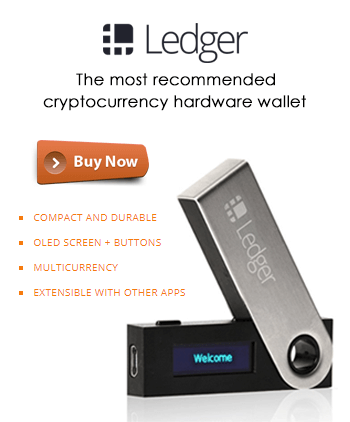 They don’t list all the new coins that gets launched every day. However the ones that are on exchange will be listed here and that helps in estimating your mining profits. The most popular mining calculator is WhatToMine. Similar to what to mine there are few other calculators like crypto-coinz.net and crypt0.zone which are lesser known but they tend to list newer coins. 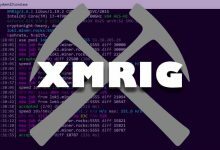 In addition to mining calculators also check mining pools. There are many mining pools that list coins once it gets announced on Bitcoin Talk. Not all of these coins succeed however the popular mining pools only list reputable coins. So follow them on Twitter and get in to the mining pool to see what new coins they’ve added. All the above communities have strong subscriber base so you’ll find discussions and opinions on new and popular Altcoins. Next to Reddit is Twitter. If you are in to crypto then you must be on Twitter. If you like our guides and tutorials then please do follow us on Twitter. We don’t share about new coin launches but there are several Twitter accounts that keeps tweeting about new and legitimate crypto projects. On the other hand there are also users who shill coins to pump and dump so be wary and follow the right people. By the end of the day don’t go by others opinions but by your own research. 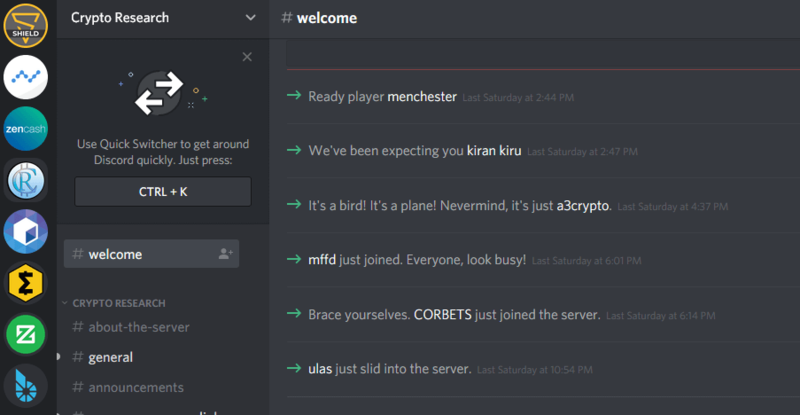 Followed by Twitter comes Discord groups: Discord is an application specifically designed for gaming communities. Anybody can create a server, invite people and create a community of their own. Majority of crypto currency projects have Discord groups, even the once that you are involved currently might be running one. 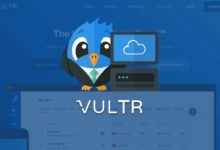 Get in to all these Discord channels and see what new coins and projects users are discussing about. In addition to official coin channels there are also groups that only list new coins and talk about current crypto trends and risky projects. Finding a new coin may seem like an easy task. Yes, it is; but remember that not all of those coins you find will survive in the long run and not all of them are legit. The problem with new Altcoins is that you can’t predict its price, volume and its adoption at its early stage. If you like to lessen the risk factor then don’t just find new coins but research them thoroughly and decide on your own. Similar to this post we’ll soon try to publish another article on how to spot cryptocurrency scams and avoid them. If you like to get latest updates from us then subscribe to our blog feeds. The above mentioned methods are some of the common ways which we and many other people use to discover new Cryptocurrencies. We are pretty sure that apart from this list there are many other websites, forums, YouTube channels and social media’s that discuss about new crypto currencies. If you knew any such source then kindly mention it in the comments section which will help new crypto users.